The 140th Inter Parliamentary Union (IPU) Assembly began at Doha, Qatar on 07 April 2019. Jointly organized by the Inter Parliamentary Union, Geneva and the Qatar Parliament, the Assembly is being attended by 178 member Parliaments. His Excellency the Emir of Qatar Sheikh Tamim bin Hamad Al Thani led the galaxy of Presiding Officers and Parliamentarians at the Inaugural Ceremony of the Assembly. Later in the day, the Indian Delegation led by Shri Harivansh, Hon’ble Deputy Chairman, Raya Sabha attended the meeting of the Asia Pacific Group. Other members of the Indian Delegation are: Dr. Narendra Jadhav, MP, Rajya Sabha; Dr. Sonal Mansingh, MP, Rajya Sabha; Smt. Snehlata Shrivastava, Secretary General, Lok Sabha; Dr. P.P.K. Ramacharyulu, Secretary, Rajya Sabha Secretariat are attending the 140th Assembly. Shri P.C. 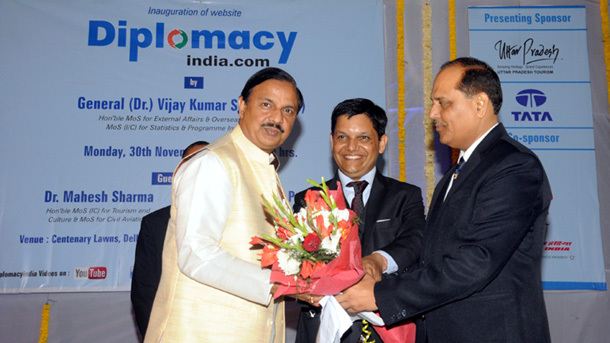 Koul, Joint Secretary, Lok Sabha Secretariat is the Secretary to the Delegation. Dr. Sonal Mansingh, MP, Rajya Sabha participated in the Forum of Women Parliamentarians and addressed on the theme Non-admissibility of using mercenaries as a means of undermining peace and violating human rights’ from the gender perspective. She also attended the panel discussion on the subject ‘Equality at work’. During the Assembly, the Hon’ble Deputy Chairman, Rajya Sabha would be addressing the august gathering of Presiding Officers and Parliamentarians on the General Debate on the overall theme of ‘Parliaments as platforms to enhance education for peace, security and the rule of law’. 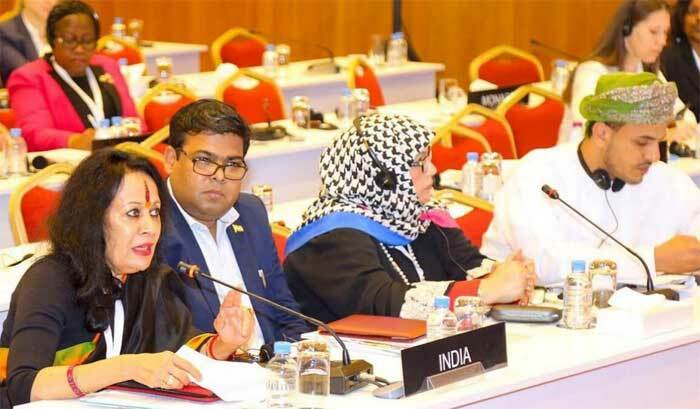 The Indian Delegates will be participating in various meetings during the Assembly such as four Standing Committees of IPU, Forum of Women Parliamentarians, Governing Council of IPU as well as on an Emergency item relating to a major event of international importance. The Delegation will also attend the meetings of regional groups viz. Asia Pacific Geopolitical Group and Coordination Committee meeting of Asian Parliamentary Assembly. In addition, the members of the Delegation will participate in various Panel Discussions to be organized under the aegis of various IPU Bodies. Secretary General, Lok Sabha will participate in the meetings of Association of Secretaries General of Parliaments (ASGP) and shall present a communication on the theme ‘The use of ICT in the Indian Parliament: Promoting Transparency and Efficiency’. During the Assembly, a bilateral meeting was held with the Nepalese Parliamentary Delegation wherein various bilateral and multilateral issues were discussed.